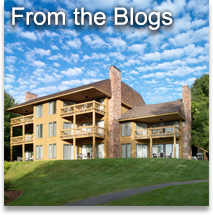 Our New Hampshire resort is just a short distance from magnificent Lake Winnipesaukee. Ideal for families, our spacious suites provide room for six guests with the convenience of a full kitchen and dining area. Lake Winnipesaukee and the nearby White Mountains are the perfect setting for outdoor activities, family fun, scenic drives, outlet shopping, dining or just pure relaxation. In the summer you can walk to Weirs Beach. In the winter, Gunstock Ski Mountain is a ten minute drive away. The 25,000 square foot Amenity Center at our Winnipesaukee resort includes pools, water slides, a fitness center and much more. Enjoy a tradition of relaxation and comfort. Choose the Summit Resort for your next vacation, escape or celebration. The Summit’s spacious suites are your perfect home base for an exciting vacation in New Hampshire. Within walking distance of Weirs Beach, each 2 bedroom suites includes a full kitchen and a relaxing balcony. 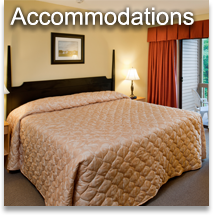 Enjoy spacious lodging in the center of the Lakes Region with capacity for up to 6 guests. The Summit Resort offers a wide variety of amenities from the our large indoor pool facility equipped with a waterslide to our fitness center and racquetball courts. Outdoor options include a pool and tennis courts. 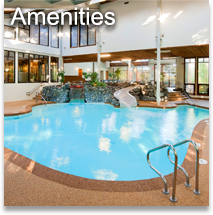 If you are looking for an assortment of amenities to enjoy your NH vacation, The Summit is the right choice. 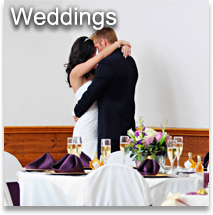 The Summit Resort offers a tree-top level function room overlooking Lake Winnipesaukee that is ideal for weddings, functions, meetings and other celebrations. Featuring beamed ceilings, a giant stone fireplace and a private deck, our conveniently located venue can accommodate up to 125 guests.